On my first day of law school one of my professors announced to the class that practicing law was 20% legal implementation, 20% counseling your client and 60% common sense. She was right. The funny thing is that I have found the San Carlos real estate market to encompass those same categories and percentages. Under the guise of these fairly straight forward categories, the San Carlos housing market shouldn’t be terribly difficult to navigate. However, whether buying or selling, the majority of people do encounter a significant amount of stress before and during their transaction. We are in the land of supreme analytical thinkers…..engineers, scientists, lawyers, doctors and countless other professions that make up a high percentage of this part of California….yet, for many, common sense can quickly fade when a house purchase enters the picture. People often say that they can take the emotion out of the picture when considering buying a home. While I am sure they believe this, I find it almost impossible to be true. Unless you are purchasing a home for investment purposes and do not plan to move into it at some point, the purchase will be, on some level, an emotional purchase. It’s your future home. Also compounding the situation is the stress that surrounds the San Carlos real estate market. Is there another offer on the home? Do we need contingencies? How long will the bank take to close our loan? Is the market favorable to our situation? Did we miss on our price point? It all takes a toll. How do I keep things on track? (1) Have a Plan. Start with the financing. It is the most important guideline. Readers of the SCB know that I always recommend interviewing at least two mortgage brokers: one in-house mortgage broker and one independent mortgage broker. Get pre-approved with both. As thing progress and programs change, one week the in-house broker may be able to offer you a better package and the next week the independent broker may be able to offer you a better package. Put yourself in a position to take advantage of the best financing available. It’s a little bit of a pain on the preparation side, but it could end up saving you a lot of money. Finally, remember that just because you can get approved for a certain amount, does not necessarily mean that you should be spending that amount on a house. Often times what people get approved for and what they should actually spend are two different things entirely. (2) Being Realistic. Once you have decided on a target price you should start to isolate items that are “must haves” in a house and what items are ideal, but not deal breakers. Your realtor should be able to at least point you in the right direction at this point. Get out and see some open house. Educate yourself before you start to look seriously. For instance, thinking you are going to find a four bedroom, three bath home with 2,500 square feet in Howard Park or White Oaks for $900,000, isn’t going to happen. The more time you take to educate yourself, the better off you’ll be. (3) Keep it together. You’ve completed steps one and two above and start looking for your future home. Within the first few weeks the ideal home pops up. You are thrilled because you have found your new home. Unfortunately, your agent informs you that there is going to be multiple offers on the property. A good agent will help you navigate this situation and keep the “common sense” approach alive. My cardinal rule is always: in a multiple offer situation you should never be influenced by what other buyers are doing. Conduct your own investigation into the property and bid a price and terms that are justifiable given the particular property. (1) First Impressions Matter. You have one chance to get it right. Coming into real estate, the biggest mistake I made was underestimating how many people made up their mind about a house within the first minute of being inside. Unless you have a tear-down, take the time to do it right. Painting, landscaping, handyman issues, staging, presentation, etc…it all makes a difference. (2) Timing is Everything. I’m just not taking about spring or winter, I’m talking about the actual MLS premiere date. If you are all set to come on with your 3/2 in San Carlos on the 18th, and on the 17th two comparable 3/2s come on the market….have the patience to delay a week or two. The ideal situation is for you to be the market for an entire weekend without any comparable properties. Likewise, if you see something come on just ahead of your property that is terribly overpriced, speed things up and go against it. Timing matters. (3) Don’t Fight the Market. If you and your agent miss with your price, don’t let the mistake linger for 30 days. Make a correction. Otherwise, you are only delaying the inevitable and will make your DOM (Days On Market) increase. Your Agent. The San Carlos market can be challenging. Find a good partner. 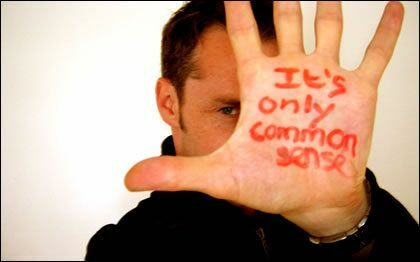 The good agents can keep the common sense approach in front of you and keep you on track. If your agent does not mirror a logical, well-reasoned approach to real estate, there is a very good chance that your offer or your listing won’t either. Your agent should be a champion for your common sense approach, as well offer the ability to add value to your transaction.